The history of Shergold Guitars can be traced back to London 1968, when Jack Golder and Norman Houlder were making guitars for a number of British companies including Burns, Rosetti and Barnes & Mullins. The Barnes & Mullins electric guitars were the essentially the first Shergold models, and a few of these B&M labelled instruments are still held by collectors today. During the early 1970s, the established ‘Hayman’ guitar brand - which was also built by Jack and Norman – ceased production, leaving them to concentrate primarily on firmly establishing the Shergold brand, while still making bodies and necks for Burns guitars and a few others. The following is a potted history courtesy of www.shergold.co.uk – the world’s historical Shergold Guitars resource. Please visit the site to see more detailed historical information. 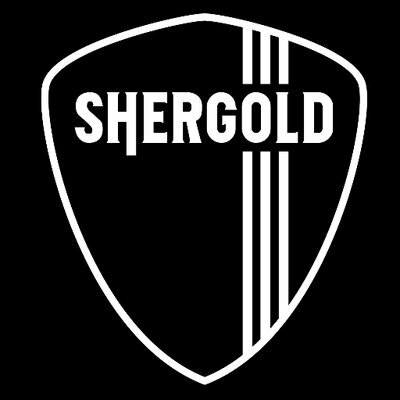 With the demise of the Hayman contract, which had been providing the majority of work to this point, production concentrated on guitars under the Shergold name itself. The newly branded Shergold Guitars were played by pioneering bands of the time including Joy Division (pictured) and Genesis. Models up to early 1979 can be easily spotted as they don't have a headstock end truss rod adjuster - on these adjusting the neck means using the adjuster access plate on the rear of the body below the neck plate, which also doubles as the serial number plate. This feature of the neck design is not totally reliable for dating purposes, as some later 1978 models are fitted with the newer style neck. The pickups on guitar models before early 1977 can be spotted easily as they are mounted using only two bolts to secure the pickup to the mounting plate - later pickups are mounted with three screws to allow the pickup to be pitched front to back. During this time Shergold officially wasn't making guitars, however a number were built as custom orders, usually using remainder parts, so are difficult to tell from their predecessors, though the use of laminate construction (maple, mahogany and ash) is more common in this era. The majority of the 90s output was in new Masquerader guitars and Marathon basses assembled from existing stock. The Masqueraders are specially designated as "Limited Edition". Serial numbers for this era are found stamped into the slot under the truss rod cover, and there is not usually a metal plate serial number fitted. In 2015 the Shergold Guitar Company was purchased by award-winning UK distributors Barnes & Mullins Ltd, the same British company who had distributed the original guitars during the 70s and 80s. Early 2017 saw the brand re-launched under the guidance of the British guitar luthier Patrick James Eggle. The reinvigorated 21st Century Shergold guitars have gone on to collect an impressive list of awards including being voted 'The UK's Best Electric Guitar 2017' (SM01-SD Thru-Dirty Blonde) as well as receiving widespread recognition throughout the musical instrument industry. Check out a comprehensive list of awards here.